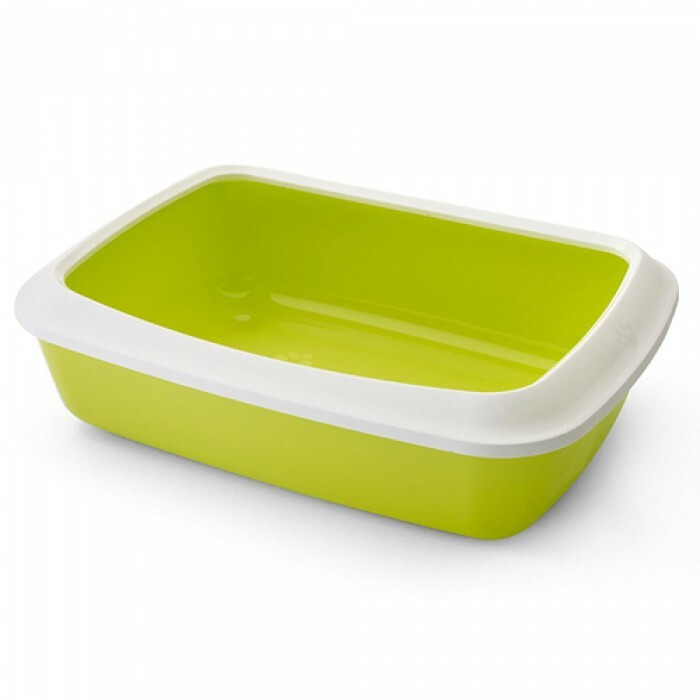 Product Details-Made of high-quality material, Prevent the throwing of cat litter, Durable, Privacy to your cat, Easy to use, Easy to clean, Durable, Lightweight, Reduces odour, Colour-Lemon Green. Product Description-Modern designed cat litter tray with removable rim. The litter tray has a low entry height for easy access. The rim, with cat paw pattern, stops litter from flying around and helps keep the surrounding area clean and tidy. With the help of our cat litter scoops Micro or Macro you can easily scoop out waste. Our litter tray bags Bag it Up Jumbo extend the lifetime of the litter tray. The bags prevent urine sediments and unpleasant odours inside the litter tray.